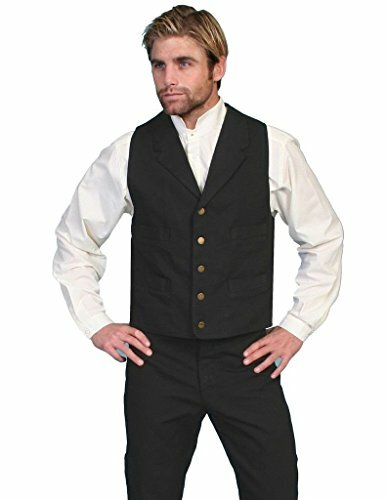 Latest Western Vests Deals. Halloween Store. Incredible selection of Halloween Costumes, Halloween Decorations and more! 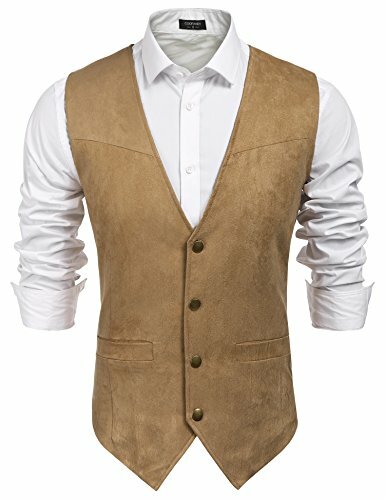 STONE LEATHER VEST- LARGE, Description:Fully lined with 5 snap buttons and 2 watch pockets. 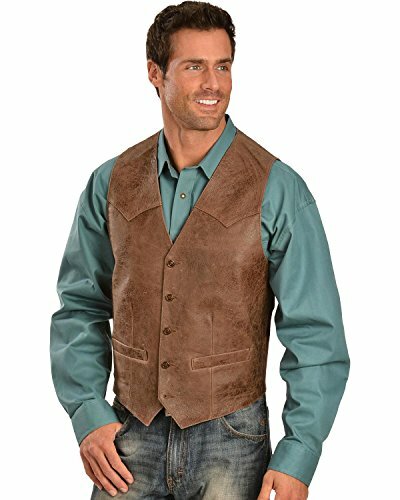 Look your cowboy finest in this frontier-inspired canvas vest from Rangewear by Scully apparel Rangewear is a part of the Old West Collection by Scully. Vest sports an adjustable back tie. Imported. Sizes: S(38), M(40), L(42-44), XL(46-48), 2XL(50). 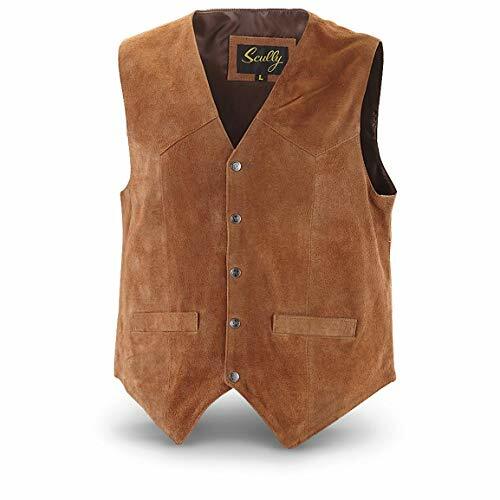 Enjoy your own premium Scully Leather vest from the leather craftsmen who produced leather jackets, gloves, and helmets for WWI and WWII pilots and Admiral Byrd's expedition to the Antarctic Learn more by clicking on Men's Scully Leathers and Apparel. Scully Leather Company has been crafting fine leather wear since 1906, some of which you'll find on display in the likes of the Smithsonian Institute and the Museum of Flight in Seattle, Washington. Scully leather wear is handcrafted from grade "A" leathers, with special consideration given to surface character and softness of hand. 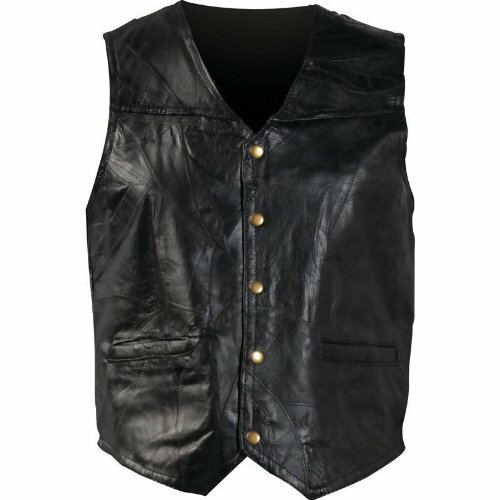 Scully is leather wear you can be proud to own The classic Scully leather vest is made of soft, supple lambskin leather. Handy inside chest pocket and two front welt pockets. Button closures. 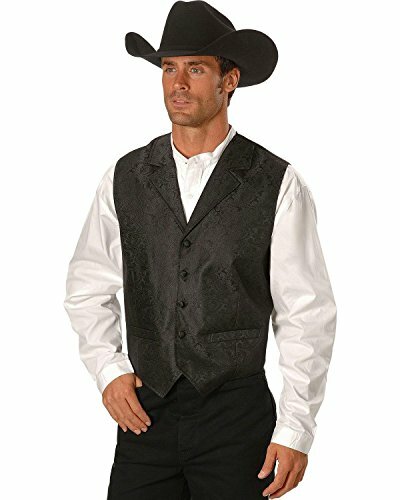 Rangewear by Scully knows how to make the perfect vest for that special occasion Rangewear is a part of the Old West Collection by Scully. And this vest is no exception. 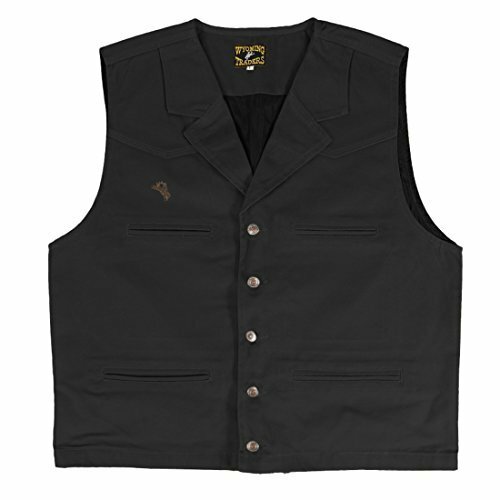 Rangewear by vest features fancy paisley design. Notched lapels. Self-covered buttons. 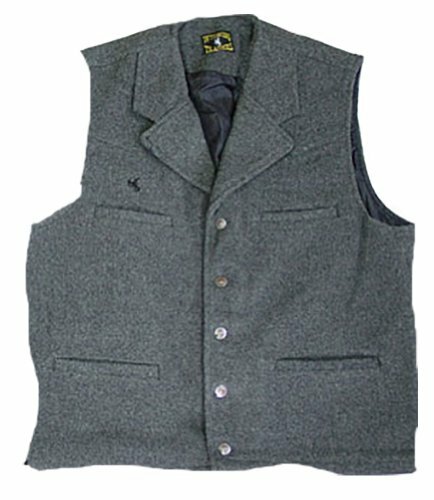 Men's vest is 100% polyester. Imported.